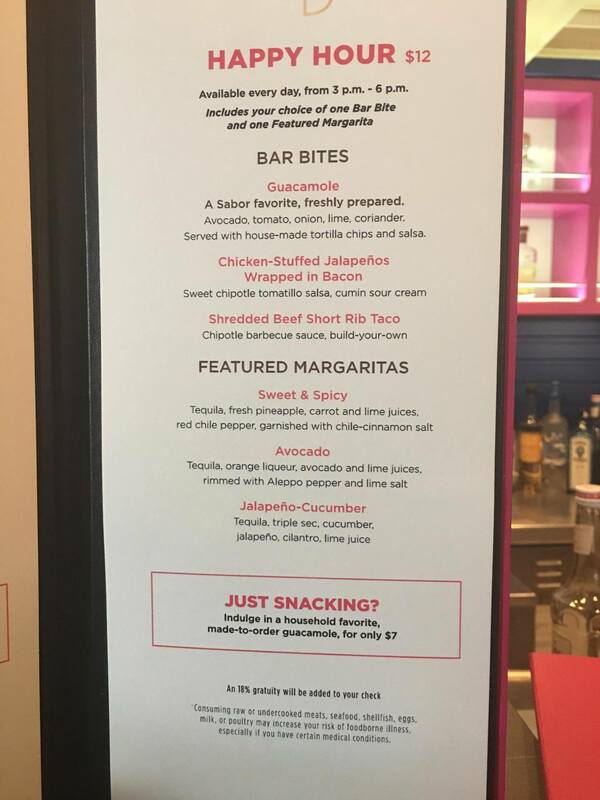 Starting today, Oasis of the Seas is rolling out a new offer for guests to enjoy a featured margarita and an appetizer for one low price. Royal Caribbean Blog blogger, Michael Poole spotted this new offer that is beginning today on Oasis of the Seas. 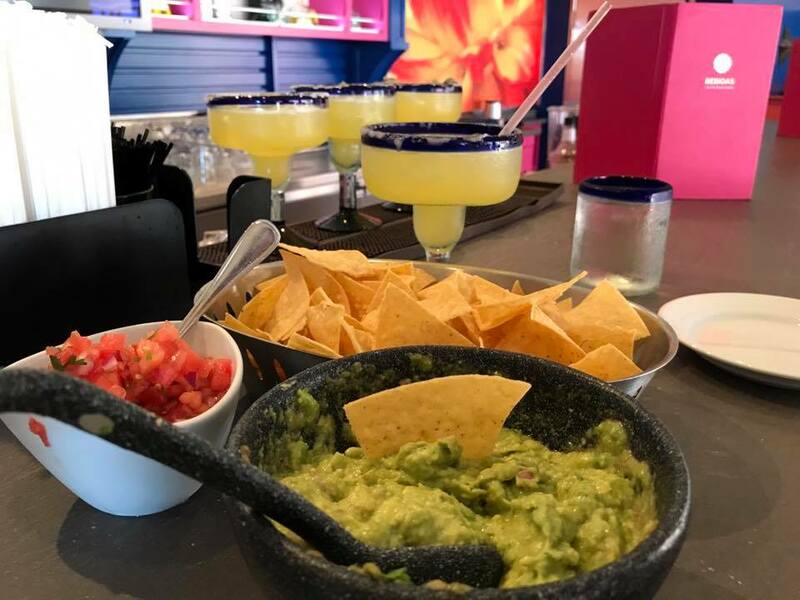 Every day, from 3pm - 6pm, guests can get one Bar Bite and one Featured Margarita for $12. The staff at Sabor say this new deal begins today, and will be available until further notice every day. In addition, Sabor is also offering a la carte priced guacamole for $7 if purchased from the Sabor bar. Sabor recently changed to a cover charge cost recently, where guests must pay $19 to enjoy all the food on the menu.